Naw Razor ALL of us Old Timers remember that one with a laugh although at the time it was pretty scary! 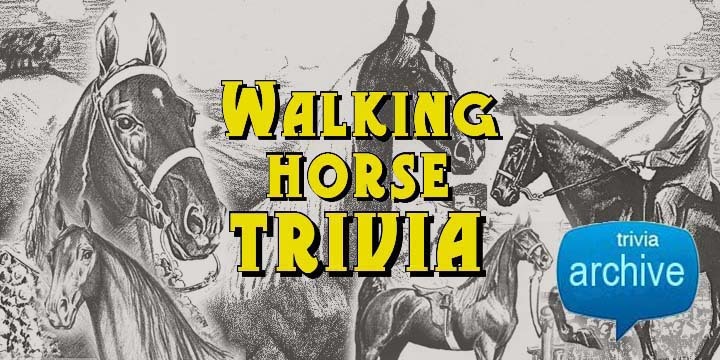 Yep, thrown shoe for sure on Wink's hoss...............who's initials are M.M. Hal Mack & Jack Johnson is CORRECT! At that time Hal Mack belonged to Mrs. Newton Turrentine from Greenville, S.C.
She bought him from Joe Uruquart. I remember Hal Mack when Ashley King showed him. Nice horse with a big-time flat walk. There are several photos on here somewhere of Joe Uruquart working Hal Mack as a two-year-old out in a field. Those photos were published in an unflattering LIFE magazine article about the breed's problems that I'm sure some of you remember. 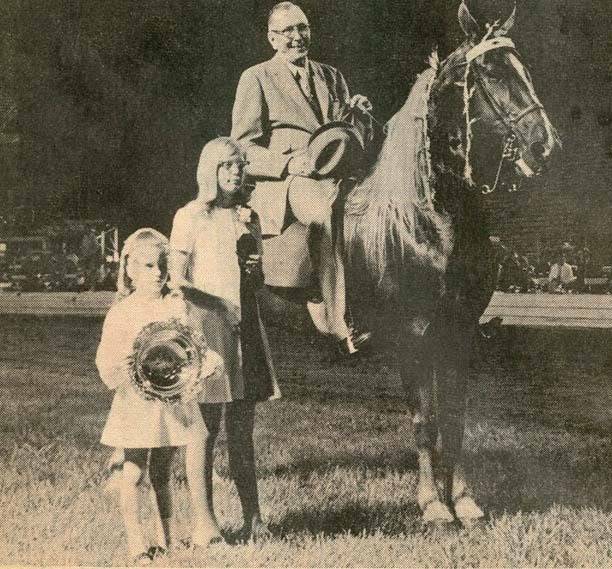 The last time I saw Hal Mack, he was being shown by a young trainer out of Munfordville, Kentucky in his latter years. #1. Jimmy Richardson. Horse Show organist and Horse Insurance specialist. #4. Some Kind of Board from the late 60's or early 70's. WHOA? That is Roy Davis in the middle. The short guy is Charlie Waters. Jimmy Richardson is CORRECT on #1. #4: ???? (I admit, I didn't take the time to type all these out, so y'all figure it out! Barn, you are right about Dr. Dewitt Owen. First I thought Dr. Jackson, then Dr Johnson. The old brain ain't rememberin' like it usen to.All I could think of was Vetinarian. Third from right looks like Dr. Otto Apel to me. Moonglow confirms that is Dr.Apel. She dated his son for a while! That's Masterpiece Melody & Mrs. Roy O. Cline of Fayetteville, Tennessee. Trained by Don Bell. 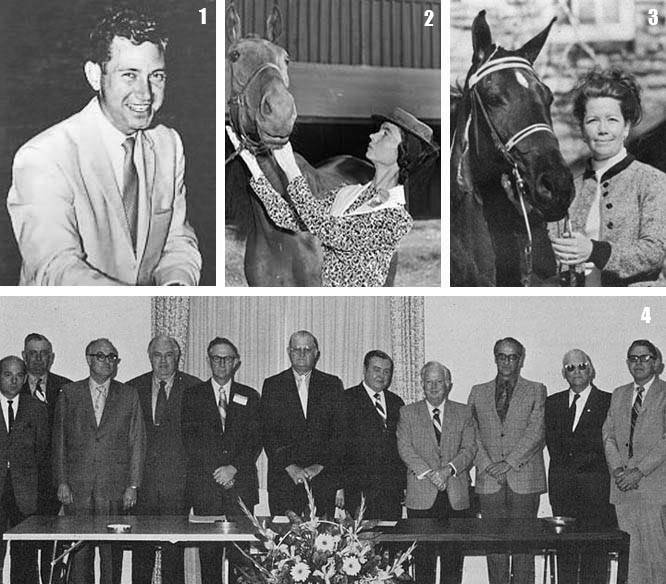 ANSWER TO #2: Margaret Lindsley Warden who was an equestrian columnist for The Nashville Tennessean newspaper for many years and quite a influential and interesting lady. 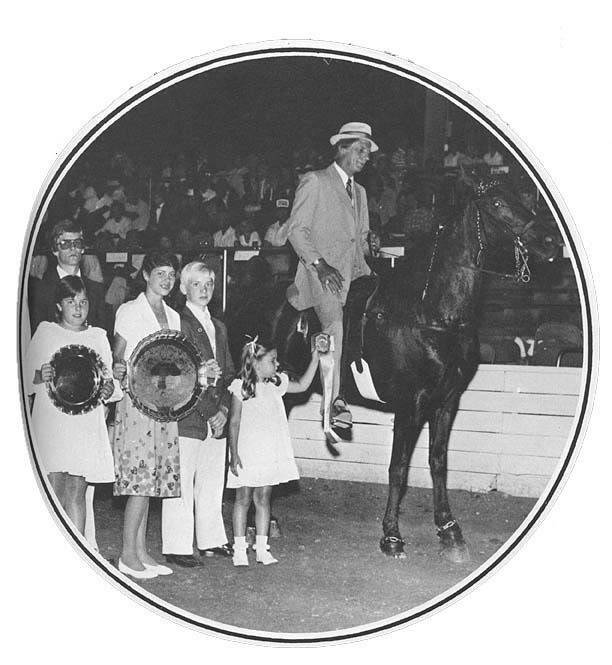 She covered all breeds, including the TWH and wrote many articles about the breed back in the 1950's. ....also known as "Goldie" !!! 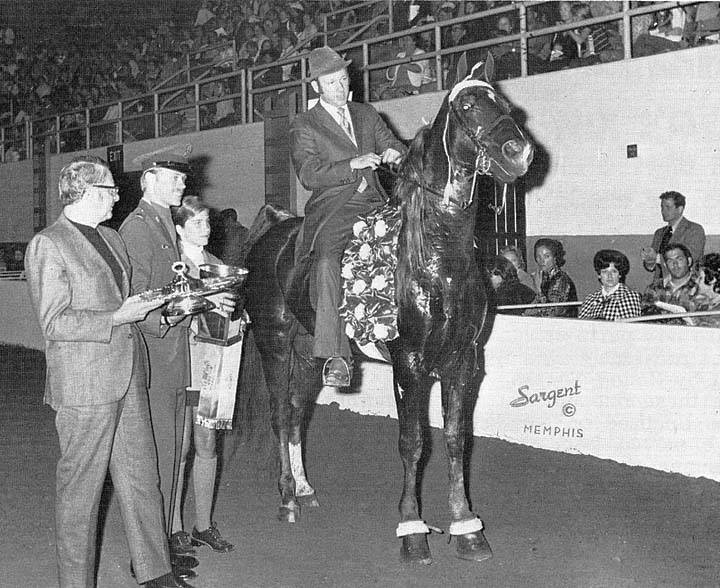 One of the first good "Show Pleasure" horses.